This week during Fashion Revolution Week there has been a lot of talk about slow fashion and handmade. If you’re reading this you probably already sew clothing. 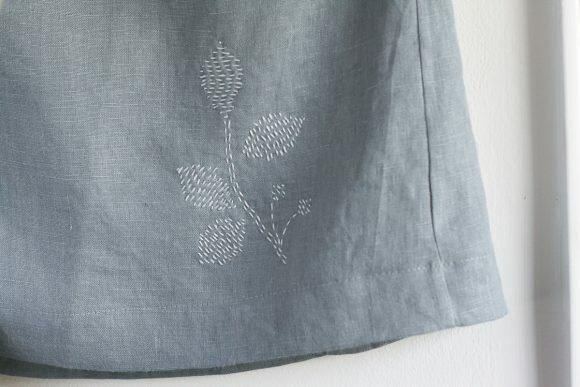 How about trying your hand at adding some embroidery to your next sewing project? Try slowing down and enjoying every stitch while adding a very personal touch. That’s what Sara is here to talk about. 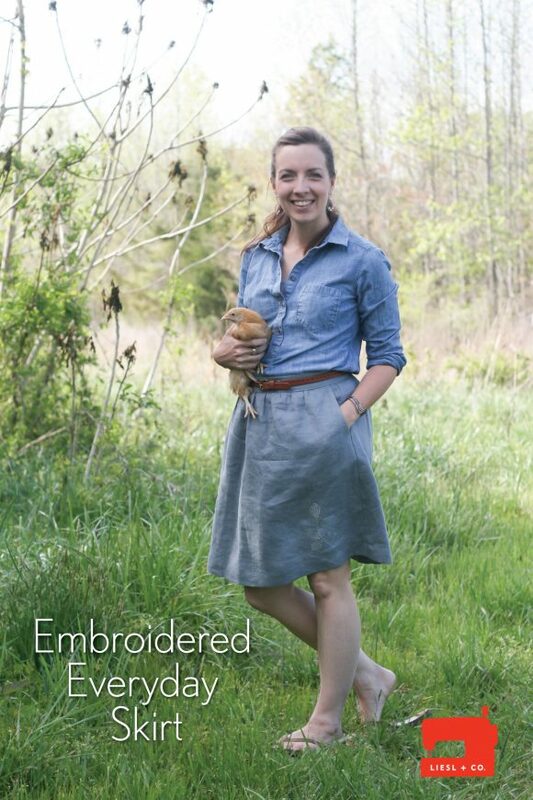 In the past she stopped by with her favorite pattern and she was a Gallery Tunic sew-along panelist, and now she has some embroidery inspiration. Here she is! Enjoy! I love to add hand-embroidered details to my handmade clothes. There’s something about the slight imperfection of embroidered stitches that adds one-of-a-kind beauty to handmade garments. Last year, I shared a tutorial for adding Sashiko stitching to the Hide-and-Seek Dress. I’ve also added embroidery detail to a blouse for myself and in several of my bag tutorials. The Everyday Skirt is the perfect blank slate for some embroidered detail. All of these techniques I have shared above could be translated for use on the Everyday Skirt. I like to look for interesting hand-stitched details on Pinterest. When I was planning the embroidery for this skirt, I saved several ideas. I love the look of a geometric design around the bottom hem. The Sashiko pattern would be pretty on the side panels or as a patch on the front like in the photo. The patches with visible mending and the woven running stitches would look nice added to the front corner of the skirt. Originally, I thought I might try some patches and visible mending stitches, like in the third photo, but I liked the simplicity of the gray linen fabric and decided to go with something clean and organic. I used light gray running stitches to make leaf shapes and connected them with a little branch. I ended up with a subtle, but beautiful design on my Everyday Skirt. It adds a unique design element without taking away from the versatility of a basic, solid-colored skirt. 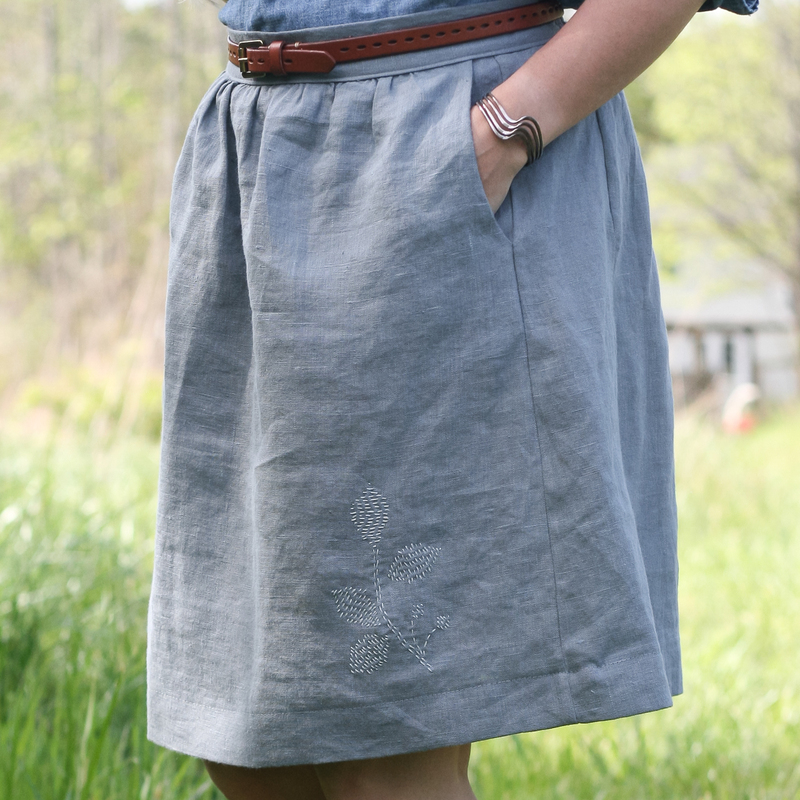 The Everyday Skirt is a quick and easy pattern to sew. Even with the added hand stitching, I finished the project in about two hours. The gathered elastic waistband in the back makes it easy to fit, and the side panels add an interesting design feature that sets the pattern apart from most beginner skirt patterns. I’ll definitely be making a couple more of these for my summer wardrobe! If you would like to make a skirt using the leaf design, the outline of the design is available as a free download. Use it on the Everyday Skirt or try it on one of the Oliver + S patterns like the Class Picnic Blouse or the Swingset Skirt. I recommend tracing the outline onto your fabric using a chalk pencil. Then just fill in the leaves using horizontal running stitches. The edges don’t have to be perfect, but the lines will provide a guide if you aren’t comfortable free-handing the shapes. 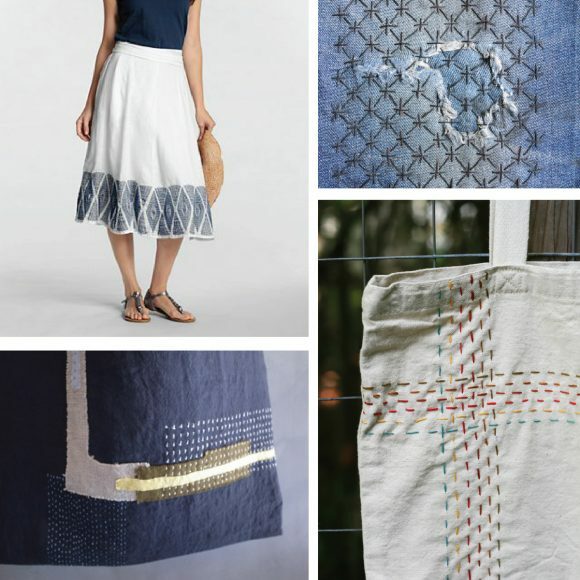 I hope you’ll try some hand-stitched details on your next project and share it with us! I’m always inspired by the creativity of the Oliver + S community! Beautiful! I love how the embroidery adds a little something special to the skirt, without detracting from the solid-color-matches-everything look. Thanks Lydia! That’s exactly what I was hoping for! I’ve been attempting to add some hand embroidery to my sewing lately and I love this! It’s simple and pretty. 🙂 Thank you for the link to the download.